When the city is sweltering and you need to escape the heat, here are a few swimming holes that are an easy day trip from Melbourne that will help bring your temperature back down. For the colder months I've also added an unexpected outdoor heated swimming hole. [ADVERT]If you live in the western suburbs of Melbourne, your best option is to head out along either the Western or Calder Freeways to Lake Daylesford. The lake is a popular family picnic spot and has wonderfully calm, clear water to swim in. You can swim the length of the lake, a distance of around a kilometre, lifting your head only occasionally to watch for oncoming canoes. There is a small sandy beach and a playground especially for kids, with nearby historical walks and mineral spring hand pumps that you can fill if you bring your own empty bottles. 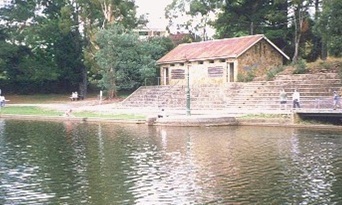 The lake is located south-west of the Daylesford town centre and is accessible from Central Springs Road and Bleakley Road. Travel time from the western suburbs to Daylesford is just over one hour. If you live in the northern suburbs, head north along the Hume Freeway to Polly McQuinns Weir near Euroa. This water feature is actually three swimming holes in one. Firstly, there's the weir itself which forms a 1.5 metre high waterfall that you can walk up to, touch and let pound onto your shoulders. The overflow from the weir then spills onto 20 metres of open cascades over a flat bed rock that you can walk across. Finally the cascading water empties into a broad pond about the size of an Olympic swimming pool. To get there, turn off at the Euroa exit into town and then back out again along the Euroa-Mansfield Road. After around 10 minutes of driving, turn left at Galls Gap Road. The best time to visit is in late Spring when the weir is more likely to be overflowing. If you live in the eastern suburbs, then there are several options if you head down the Monash/Princes Freeway to the Latrobe Valley. For a cool summer swim, head to Lake Narracan on the Latrobe River, which is accessible from either the Moe or Haunted Hills exits. 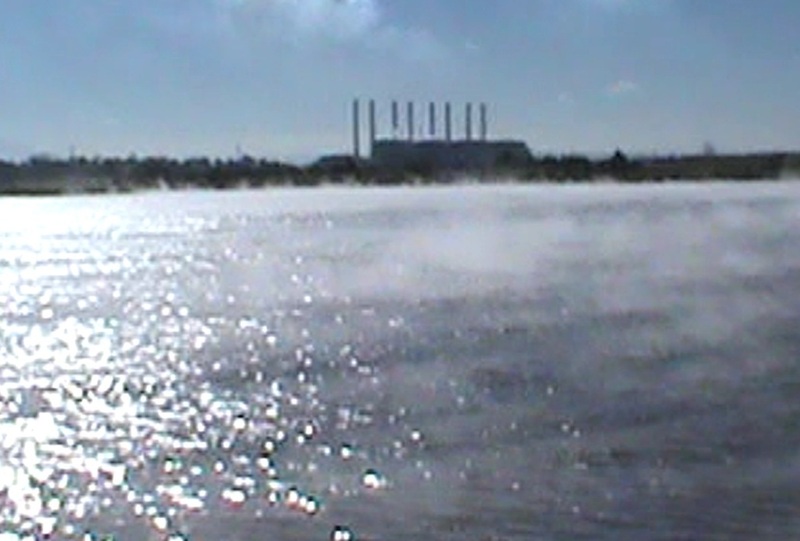 For something very different, try a warm water swim at Hazelwood Pondage. 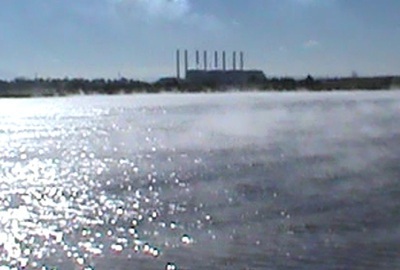 The water in the pondage is circulated through the nearby power station and as a result the water temperature is maintained at a constant 22 degrees all year round. I've taken a dip in mid winter and it was so warm that I didn't want to get out. National and international open water swimming events have been held here, so I'm not the only one who's ventured into the murky waters of the pondage. Turn off at the Monash Way exit at Morwell, head south, and follow the signs. Check out Pykes Reservoir, just past Bacchus Marsh on the Western Highway; and also the Lerderderg Gorge in Bacchus Marsh. Are their any nearby lakes or rivers you can swim in around the Yarra Valley? Sure. There are places like Laughing Waters (http://vicswimmingholes.com/vic_laug.htm) in the mid reaches. I'm in the process of writing up the upper reaches and will post a note when that's available, but anywhere around Warburton is a good place for starters (e.g. along Thomas Avenue).